But critical panning (the film currently sits at a 13 percent on Rotten Tomatoes) didn’t stop the people from certifying Belly as a hood classic. More importantly, Belly became the film that flipped the script for the future of hip-hop, especially when it came to how the culture and its players moved through Hollywood. Hype’s videos, some of the most expensive of the era, were worth it on a number of levels. Aside from being some of the flashiest advertisements for albums from a collection of the biggest artists in the game, they also employed creativity not seen among his peers. It made sense; you can’t have enigmatic personalities like Busta Rhymes or Missy Elliott and give them the same videos you’d see for the likes of Redman or the Wu-Tang Clan. Hype’s aesthetic, which included the use of Fisheye lenses and widescreen aspect ratios (as well as colorful set design), set the tone for mid-to-late-’90s hip-hop, giving the genre some of the most vivid visuals ever. When word came of Hype working on a film? The hood already knew what time it was. Hollywood? Different story. First and foremost, it helped that Hype was of the culture; he wasn’t someone trying to cash in on any type of “fad” or trend. Hype was born in Queens, New York, in 1970, and the story that became Belly was based on the people he grew up with. “The reason why I picked up a camera when I was younger,” Hype admitted during ComplexCon, “was in hopes to make this movie.” In enlisting Nas—who had for the better part of the decade been weaving intricate tapestries inspired by life in the Queensbridge projects—Hype gave his film an authenticity that you couldn’t get from hiring just any black guy to play Sincere. It’s a similar track to hiring, say, Ice Cube to play Doughboy in Boyz n the Hood, but Nas (who before this was not acting) would be carrying the entire film. Added onto that is the casting of DMX, who, at the time the film was made, wasn’t a fixture in the rap game. X—who played Buns—went on to own 1998, becoming the first rapper to drop two albums that debuted at No. 1 n the Billboard Hot 200 chart in the same year. That said, “Get at Me Dog” wasn’t even on the radio at the time. “X was unknown,” Hype remembers. “No one would understand why I’d pick a guy like that. In ’97, all of hip-hop was coming from Bad Boy, so it was very shiny—and I know I had a lot to do with that,” he says, laughing. Williams also said he was “crucified” for the decision early on (many thought JAY-Z would have been a better choice). Looking at X’s run as an actor—which saw him star in films like Romeo Must Die, Cradle 2 the Grave, and Exit Wounds—Hype low-key gave Hollywood an action film gem who had all of the charisma and real-life grit to become a true force on the silver screen. Belly&apos;s accolades go deeper than the casting choices. With music videos feeling like big-budget Hollywood films, heads on the street had a feeling Hype was going to take it there when he was able to, and Belly found the director in his bag. The opening scene itself is a piece of art; set to the acapella version of Soul II Soul’s “Back to Life (However Do You Want Me),” it shows Sincere and Buns strolling through the club, blacklight making their eyes look crazy, in a sequence culminating in a wild shootout. Black stories, especially black stories involving street life, are never allowed to be painted in such rich colors and stylized so beautifully. Visually, this was our Goodfellas. This was our Casino, especially when you get into the fashion of the film. Baggy leather pants, Timberlands, and humongous Jesus pieces aren’t new on-screen, but who is taking the time to throw the camera low and angle up on Nas sitting on an all-black couch, with an art piece featuring a beautiful black body hanging on the wall behind him? Hype was looking at things differently. During the ComplexCon panel discussion, he spoke of the influence French filmmakers had on him. Nas shared a hilarious tale about one of these cinematic choices. “My first time on set, we was in Harlem at this soul food restaurant, M&G’s. We had the first scenes there at night in Harlem, so I didn’t know what to expect. In the beginning, Hype had this vision that we was gonna be oily. Whatever he was on, I was with it!” While the “oil” messed with the clothes, Hype broke down what he was trying to accomplish. “The way I intended to do it, I wanted the light to reflect off of black skin in a certain way on film, so the way I knew to do it at the time was the make-up. It was just the light worked the way we wanted it to. I was thinking purely aesthetic.” It definitely wasn’t something many directors, black or otherwise, had been trying to accomplish, but to this day we’re seeing filmmakers and camera people finding new ways to improve on how black skin shows up on film. Directors like Barry Jenkins (whose Moonlight won a Best Picture Oscar) are being applauded for how they represent black beauty on film. Those techniques that black directors, cinematographers, and colorists are doing today, Hype was trying to achieve twenty years prior. While Belly maintains certified status in the hood, the ripples Hype made in the massive Hollywood ocean still resonate to this day. Director X, who was a protégé of Hype’s, could owe his career to Belly and his work with the director. He served as visual consultant on the film, and broke out in 1998 with his own music video work for the likes of Redman, Total, and N.O.R.E.. Director X has made music videos every year since, but it was in 2015 that he started getting feature film work, with his most ambitious endeavor being this year’s Super Fly remake. Acclaimed director Chris Robinson followed a similar trajectory. 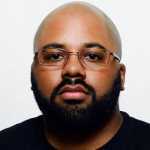 The Atlanta-born visionary has worked on music videos for the likes of Ludacris, Alicia Keys, JAY-Z, and Nas since 2000, and in 2005 he made his feature film debut, the beloved ATL. Like Belly, ATL found itself taking real-life tales (those based on Dallas Austin and Tionne “T-Boz” Watkins) and turning them into a memorable story—one that many see as a classic in the hood, trap, or anywhere T.I. and Lauren London get love. On the flipside, Belly proved that artists and creatives within the scene are the best sources for these tales. You could say that another hood classic, Paid in Full, might not have happened without a film like Belly coming before it. Memorable for its dialogue and visuals, Paid in Full is also just a good film that highlights an era in New York authentically, with the voice and swagger of the people who come from those areas. The 2002 film was produced in part by Roc-A-Fella Films, which was also behind projects like State Property, which again aimed to bring the street tales we immortalize on wax to the screen. Hell, working on those projects helped both Dame Dash and JAY-Z continue to work in producer roles on a number of Hollywood projects. Dame has credits on films like the Kevin Bacon-starring The Woodsman, from 2004, while Hov has credits on The Great Gatsby, Annie, and Top Five. He also helped bring the lives of Kalief Browder and Trayvon Martin to the mainstream. Belly feels like an experiment in giving a culture that was ruling the mainstream (and truly sits atop the throne today) a chance to fly freely. It’s a black story featuring black celebrities told under the black gaze that has become a cult classic, especially in the hood, which is the only place that truly matters for a film like this. It showed off the extravagant lives some street pharmacists can live when business is booming, but it also highlighted the dark side of the corners that people battle over in this never-ending war on each other. There’s a message in the film itself, but what Hype and company did while guiding us from point A to Z was give us a chance to see ourselves as the stars of our own tales. It blazed a trail in black cinema that some filmmakers are only just now starting to understand and build upon.